Branding, is crucial for anyone serious about growing their business. A company’s brand is what differentiates it from its competitors. In today’s technological age, it’s essential for businesses to have a presence online to remain competitive. An effective online branding strategy, like its offline counterpart, helps to increase knowledge and awareness of your unique business and drive buyer demand. While online branding offers many opportunities for business, in order for it to be effective, one needs to draw in and engage its buyers. This isn’t simple to do online. 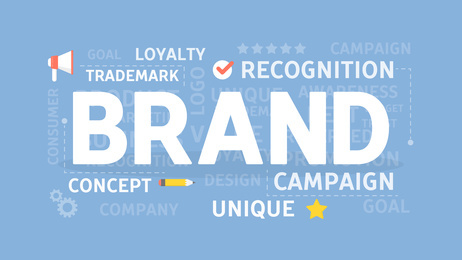 Branding isn’t just about building a website and adding your company logo and slogan. Your online branding strategy needs to stand out from the rest. Branding uses hi-tech tools to build an online presence for your business. Graphics and animation, compelling web content, and overall website design that reflect your company are a just some of the key factors that will bring your brand alive. A well designed website that helps buyers easily and quickly find the information they need is the key to getting buyer interaction and eventually a sale. Your branding strategy needs to include great design factors and ease of use to leave an effective impression on buyers. A strong online image will make the difference between a buyer who buys from you or buys from your competition. Remember, it only takes a click of the mouse and buyers can leave your site and go to your competitors. There is a lot that depends on the impression visitors get from your website. Branding aims to convey a unique message about your business to your target audience. As you can see, there are a lot of factors to consider when building a successful brand. Hiring a brand specialist might be helpful to give you the edge you need, but they’re expensive. “Branding is much more than a well thought out logo or slogan and it’s more than a unique colour scheme. But these are the first steps that need to be taken in order to build a successful brand image”. One of the key components of building a successful brand image is to differentiate yourself from your competition. You will need to know how buyers see your competition. You have to recognize how your competitors differentiate themselves from others. In addition to that, you need to know your competitor’s strengths and weaknesses. Your business will benefit from knowing this information by learning from their shortcomings, and learning how to distinguish your company from the competition. Now that you have identified your competition’s shortcomings you can now start to centre your company’s talents. Undertake a target market analysis, learn from it, and utilize the results to your advantage. This is a valuable tool to confirm that your company’s talents are in fact crucial to your target audience. Once you’ve recognized your talents, and what talents are significant to buyers, you are able to think about ways to successfully market these to the world and involve them in your branding campaign. Learn more about the buyer. Know their buying behaviour. How frequently do they buy? Do they purchase only during sales or promotions? Do they purchase an array of products or services or simply a select few? These are questions you should ask yourself to effectively market to your buyers. Also, knowing and working on potential buyer’s lifestyles, needs and attitudes are the key to achieving marketing success. Make certain your company truly represents what your brand identifies you with. For example, if one of the traits your brand identifies your company with is honesty, then be honest. This means every employee from the receptionist all the way up to the CEO has to live the brand. Demonstrating yourself as an authority in your field will help you to gain both recognition and respect. Surprisingly, that recognition and respect transfers immediately to your company. If people trust that you truly know what you’re talking about, they’ll feel safe about investing in your product. A website is the best place to begin. Build a professional looking website with sound and informative content and you’ll have a source of authority information to direct buyers to. Remember that it’s all right to give away some of your treasured knowledge free of charge. Give potential buyers something of value up front and they’ll see you as a legitimate source to go to for whatever you may have on offer. An effective strategy to gain an authority status is Article marketing, as it gives you the power to distribute a number of articles to a vast number of content-rich sites. The more places your name appears, the more people will be exposed to your website and product. A more popular way to demonstrate your expertise is through internet forums and blogs. This is a bit more casual than article marketing. It allows you to talk openly with site visitors. The conversational tone used in a blog will put more potential buyers at ease. Not only will they see you as an authority figure, they’re more likely to feel connected to you as a real person. In addition to that, a blog provides buyers with the opportunity to ask questions and give you the opportunity to back up your product in the face of scrutiny. Discover the right places to gain recognition and promote yourself and command respect within those places. Highlight your accomplishments and successes. Branding yourself as an expert in your field, is all about getting customers especially repeat customers. There should be a consistent and logical look, feel and design to every page of your website. You want your visitors to know they haven’t actually left your website when they go to a different page. As part of your marketing efforts, icons for going back or to the next page, or for printing the page or even the icons that line your menu should all follow the same theme as your website. Every aspect of your website should be about your brand. Standing out from the rest isn’t nearly as important as having other people recognize your website. If a visitor visits other pages and they look different, they may think they unexpectedly left your website and then leave it all together. An easy concept for marketing your brand is your logo as an icon. You may even utilize this as buttons and every time an individual has to click the button, your logo makes an imprint. It will have to be much smaller than the main logo on your page or additional areas to be utilized as a menu icon, but the reduced image will continue to reinforce your brand throughout your website pages and offer an advantage to your marketing efforts. In addition, with this level of branding throughout your website there will be no doubt in your visitor’s mind where they are. You could also make it easy for visitors to bookmark your website and allow them to see your icon in their favourites, further imprinting your brand. Don’t forget, returning visitors purchase more than first time visitors and keeping your image in their minds will enhance your online marketing efforts. With a bit of creative thinking and design, you could ensure potential customers automatically think of you when they see your logo. This is one of the most effective branding techniques. Colour plays an important role in memory recall. It excites all the senses, instantly conveying a message like no other communication technique. Blue: Cool blue is sensed as trustworthy, dependable, fiscally responsible and secure. Blue is a particularly popular colour with financial institutions. Red: Red sparks off your pituitary gland, increasing your pulse rate and causing you to breathe more rapidly. Count on red to arouse a passionate response. Green: For the most part, green represents health, freshness and serenity. Deeper greens are affiliated with wealth or prestige, while light greens are calming. Yellow: In every society, yellow is affiliated with the sun. It communicates optimism, light and warmth. Particular shades seem to motivate and stimulate original thought and energy. The eye typically sees bright yellows before any other colour, making them good for point-of-purchase displays. Purple: Purple is a colour favoured by original types. It evokes mystery, sophistication, spirituality and royalty. Lavender evokes nostalgia and sentimentality. Pink: Hot pinks express energy, youthfulness, fun and excitement. Dusty pinks seem sentimental. Lighter pinks are more romantic. Orange: Cheerful orange arouses exuberance, fun and vitality. Orange is deemed gregarious and frequently childlike. Lighter shades appeal to an upscale market. Peach tones work well with health care, restaurants and beauty salons. Brown: This earthy colour transmits simplicity, durability and stability. Particular shades of brown, like terracotta, might convey an upscale look. Black: Black is sober, bold, powerful and classic. It produces drama and connotes sophistication. Black works well for expensive products, but might also make a product look heavy. White: White implies simplicity, cleanliness and purity. The human eye views white as a brilliant colour, so it at once catches the eye in signage. White is frequently used with infant and health-related products. If you think of the Coca Cola brand, what springs to mind? Does an image of a red can with words Coca Cola written in white show in your mind’s eye, or maybe a coke bottle? We must also choose our niche and brand our name accordingly. Be known for doing good in one area before moving on to the next project. A Domain name. You can register a domain name and point it to your website. A website that belongs to you. Auto Responder and Opt-In form. Your visitors rarely make a purchase on the first visit and once they leave your website, you will not see them again. So you need to get your visitors details with an auto responder opt-in form and follow through with a series of e-mails. Follow up e-mails reinforces your brand name in the mind of your subscribers. Photo and Signature. Upload a well-groomed, smiling photo of yourself with your written signature. This lets your audience know you are a real person. Do you have a nice speaking voice? If so, mix this with your photograph and signature to reinforce you are a real person, and instantly build rapport with your audience. Add a blog to your website and start building a relationship with visitors. Update your blog at regular intervals with content specific to your audience. Refrain from writing about off topic material so as to keep your message and theme consistent. One way to keep your readers informed about your material is to use RSS feeds. If your website content ‘paints a picture’ in your mind that’s simply not you, then it’s likely you’ve been attempting to model your approach after somebody else or you’ve been using content produced by somebody else without giving them the benefit of knowing you. The answer is simply to be yourself and let your personality show through in your content. If you’re writing a blog entry in the midst of a storm and it’s “a bit nippy outside” don’t hesitate to talk about it. If you let your own personality shine through your image will be your own, and not one you’ve created that will change daily depending on what you’ve read most recently. There’s a lot of discussion on branding with regard to marketing. The basics of branding are to determine the ‘picture you wish to paint’ and what message you wish to convey. While a few individuals may write a book on how to brand your business, there are truly only a handful of elements to consider – your image, your intent and your message. The purpose of a brand is to create something that will stick in the minds of individuals and help them to recall your business. Producing and building a strong brand doesn’t have to compromise your personality. The only true decision is whether you wish to be casual or professional. When it comes to online marketing, retaining your personality and your individuality will go long way in branding your business. You’ll be a lot happier with your marketing efforts in the long run if you simply be yourself. If you enjoyed this blog, you may enjoy 5 Mistakes every affiliate marketer should avoid. Branding does matter and is very crucial to every business. Everything matters with branding from things like content to even logos. Speaking of logos how was the logo created for this website here? Gaylene, what an awe-inspiring article that will I will definitely implement a great of your branding tips. I have heard the term, “branding”, but was not certain how to incorporate it into my business effectively. Hi Thank you for this post. This is great information for anyone like myself that is just starting out in building an online presence. Thanks for this great informative post. I am right now building my own website and should think about things like branding too. Your post is of great help to me as there are so many aspects one has to consider.